Do you have curly hair, but dream about straight? Don't hurry up to iron your beautiful hair, and better take the following hairstyle ideas into consideration. And yes, we know how difficult it might be sometimes to style your hair every morning because of its unusual, however, amazing structure. Pardon, but we would not recommend you to straighten your hair. Otherwise, we want to encourage you to highlight your curls. The only thing, which is needed is you who make the choice which one of the hairstyles to choose today. Yeah...we know that you may still think that men do not like curls, pushing you to get rid of them. But that's not true in reality. Tastes differ, and to tell the truth, some men like gorgeous short curly hairstyles, whereas others prefer flat-ironed straight. So which hairstyle to choose? Curly or straight? Hope you’ve chosen the hairstyle idea created just for you! Great video and tips! Thanks for sharing! Love the don't be too serious advice - I was thinking the exact same thing last night actually!! Thanks for the tips, I'm now growing my hair back and will be referring back to this post. I have wavy, curly unruly hair naturally and I got so fed up that I had a haircut and now have to straighten it all the time. But as it grows back, I'll love the bounce and fun it gives again, I just wish it was easier to control I a humid environment!! All these styles are pretty! I'm the opposite- I have straight hair and wish it was curly! I love curly hair! Mine is pretty boring and straight. Sigh, I wish I had curly hair. My hair is naturally straight and flat, and super boring! These hairstyles are so cute! I feel like alot of people want the opposite of the hair they have. 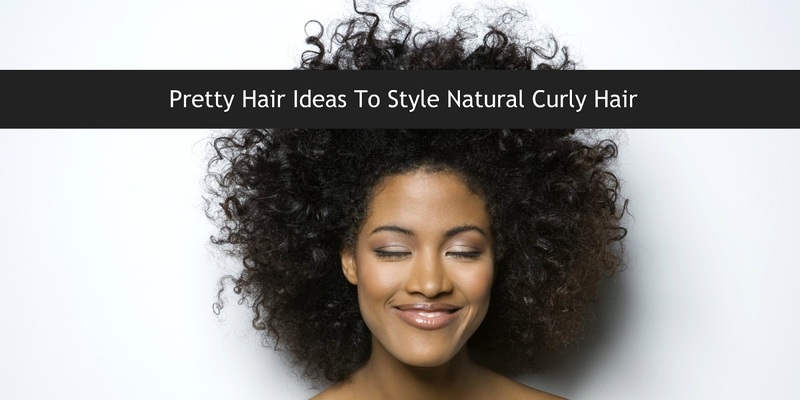 Its great that this article encourages embracing your natural hair! My hair is somewhere in the middle. Not entirely flat, not entirely curly. It drives me mad most of the time. Lovely ideas about styling. I love curly hair so much! Mine is naturally a little wavy but I wish it was truly curly. This model has gorgeous hair too!!! A messy bun always gives that carefree vibe. Much as I personally like straight hair, curly or should I say wavy is my preference. But then again I wig it these days so I can switch things up pretty quick.